The British Virgin Islands are situated some 60 miles east of Puerto Rico and form part of a chain (archipelago) of Caribbean Islands created 25 million years ago. The dramatically shaped island of Virgin Gorda reminded Christopher Columbus of a reclining woman, so he named it Virgin Gorda, the “Fat Virgin.” The third largest island of the BVI, Virgin Gorda measures eight and a half square miles. 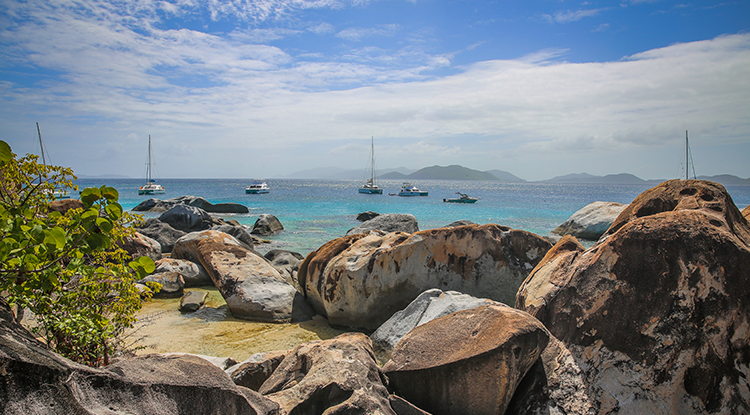 Virgin Gorda is an island to explore. Known for its preponderance of renowned beaches ranging from “The Baths” and boulder strewn Spring Bay to the long white sandy beach of Savannah Bay. In addition to the sheer beauty of the island, travelers are drawn to Virgin Gorda for its yacht clubs, quiet coves, safe anchorages, and luxury resorts. With an impressive Yacht Harbor, located less than half a mile from Virgin Gorda Village Hotel, life on Virgin Gorda focuses on the many water opportunities.